Air Compressors, Air Dryers and parts for Military Aircraft Tugs and Tow Tractors. Parts for MB-4 Aircraft Tug, U-30 Aircraft Tug and more. Air Intake, Air Cleaners and Air Filters for Military Surplus Aircraft Tugs and Tow Tractors. Parts for PSI MB-4 Aircraft Tugs and more. Battery Cables, Terminal Ends, Slave Cables, Jumper Cables, Etc. Military Aircraft Tug parts for sale. PSI and American Coleman MB4 Aircraft Tugs. MT3 and U-30 Military Tow Tractor parts. Belts and Pulleys, V-Belts, etc. Military Aircraft Tug and Tow Tractor parts for sale. Body, Cab, and Frame parts for Military and Army Surplus Tow Tractors and Aircraft Tugs. Parts for MB-4 Military Aircraft Tug, PSI, American Coleman, and Entwistle. Brake Shoes, Brake Springs, Brake Hoses, and other Brake Parts for Military Aircraft Tugs and Tow Tractors for sale. Control Cables and Cable Parts for Ex-Military Aircraft Tugs and Tow Tractors. MB-4 American Coleman parts and MB-4 PSI parts for sale. Engine Cooling System and Radiator parts for Military Aircraft Tugs and Tow Tractors. Parts for MB-4 American Coleman, Entwistle, and PSI. U-30 Military Tow Tractor parts and more. Connectors, Plugs, Switches, Solenoids, Lights, Cables, Glow Plugs, Alternators, and more. Military Aircraft Tug parts for sale. Air Filters, Oil Filters, Fuel Filters / Water Seperators parts for Military Aircraft Tugs and Tow Tractors. MB-4 Aircraft Tug filters and parts for sale. Military and Army Aircraft Tug and Tow Tractor fuel system parts. Gasoline and Diesel Engine Fuel parts for MB-4 and U-30 Aircraft tugs. Gages, Switches, Knobs, Indicator Lights, and other dash parts. Control and relay parts for Military Surplus Aircraft Tugs and Tow Tractors. MT3 Aircraft Tug parts, MB-4 Parts and more. Hydraulic Pumps and Hoses. Parts for Military and Army Aircraft Tugs and Military Tow Tractors for sale. Military Aircraft Tug Headlights, Taillights, Turn Lights, Directional Lights, Marker Lights, Bulbs, Brake Lights, Etc.Military MB-4 Coleman Tug, MT3 Aircraft Tug, and U-30 Tow Tractor parts for sale. Military Aircraft Tug and Tow Tractor PTOs and Power Takeoff Parts for sale. Oshkosh U-30 Tow Tractor parts and more. Military Aircraft Tug and Tow Tractor O-Rings, Oil Seals, Coolant Seals, Fuel Seals, and more. Parts for Entwistle MB-4, American Coleman MB-4, and PSI MB-4 Tow Tractors. Steering Parts for Military Aircraft Tugs and Tow Tractors. Oshkosh U-30 Tow Tractor parts and more. Studs and Wheel Lugs Nuts for Ex-Military Aircraft Tugs and Tow Tractors. Parts for U-30, MB-4 and more. Winches, Winch Cable Rollers, Bearings Winch Motors, Winch Clevis Sockets and more. Parts for Oshkosh U-30 Tow Tractor and MB-4 Aircraft Tug. Model Numbers are located inside the Model Series below. 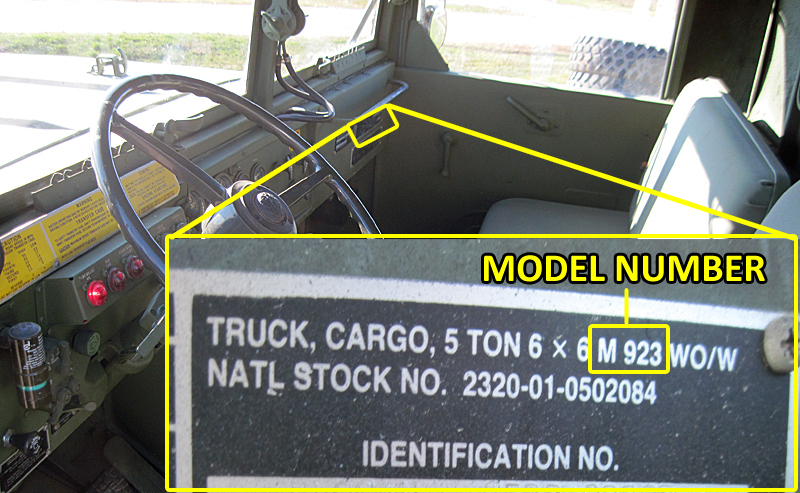 Click on a Model Series to expand that list of Model Numbers. Entering your Model Number into the box below removes any Series/Models that do not apply below.